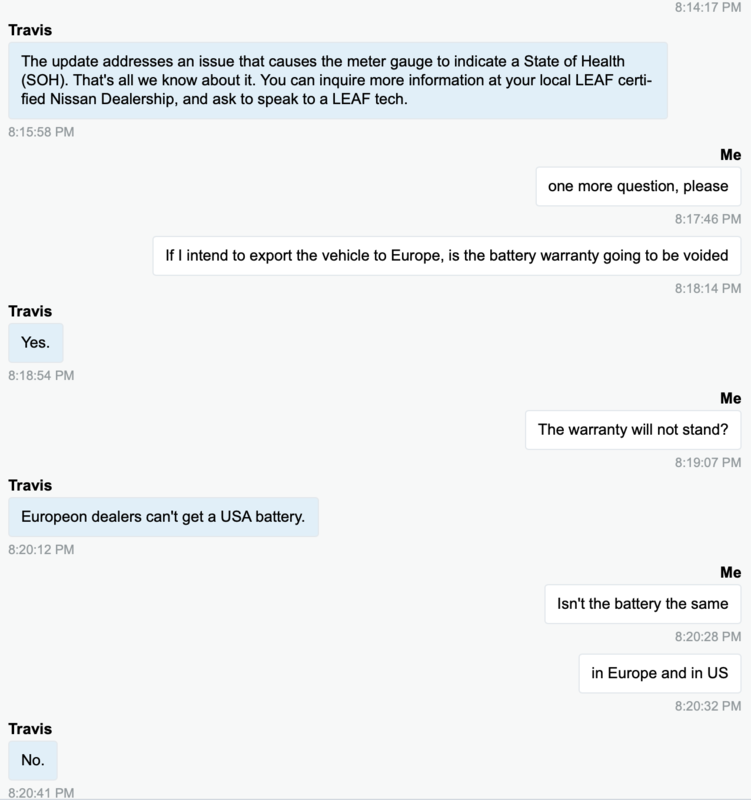 Are you going to refund their money if they buy a Tesla and it turns out to have lousy batteries and Tesla goes bankrupt? Nissan is on the hook for 8 years/100k miles. Since I'm not urging anyone to buy a Tesla you are just getting defensive rather than do something as unthinkable as change your mind or your actions. I had enough of that on Usenet, so back in the filter with you. Folks, take what WetEV writes with a grain of salt. Do the same with anyone else here, including me. Just remember that caution results in less heartbreak than does blind trust in some nameless internet entity. The dealer sent me a photo of the dash. Does it mean that the car has lost 2 bars in just 2000 miles? If that’s the case, it’s terrible news. Yes that is a "two bar loser" and yes 2k miles is very quick. Is this the 2016 SV you mentioned earlier? 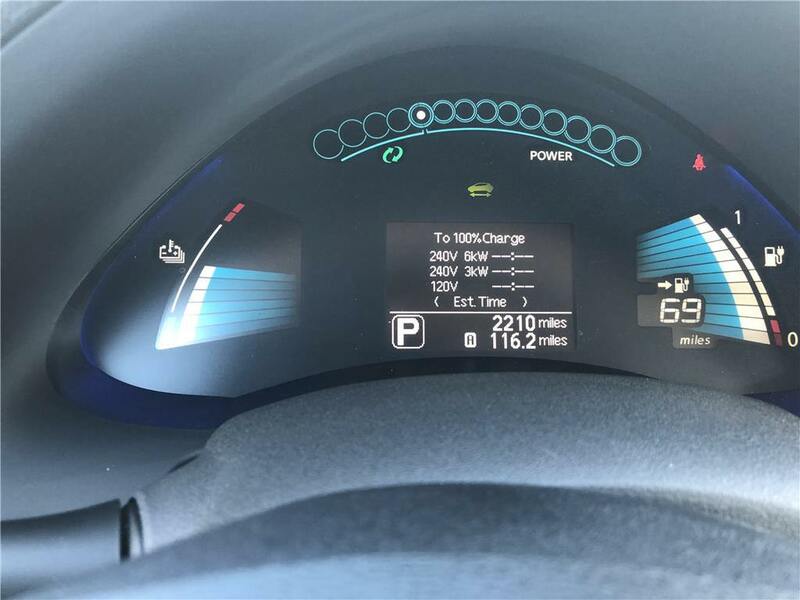 If so this has the 30 kWH battery that has a reputation for rapid degradation that has been mentioned here. If Nissan and WetEV are correct, then the car just needs a free software update to restore both the missing bars and lost range. It is a gamble that I would not take myself, though. LeftieBiker wrote: If Nissan and WetEV are correct, then the car just needs a free software update to restore both the missing bars and lost range. It is a gamble that I would not take myself, though. The OP mentions that the picture was provided by the dealer. 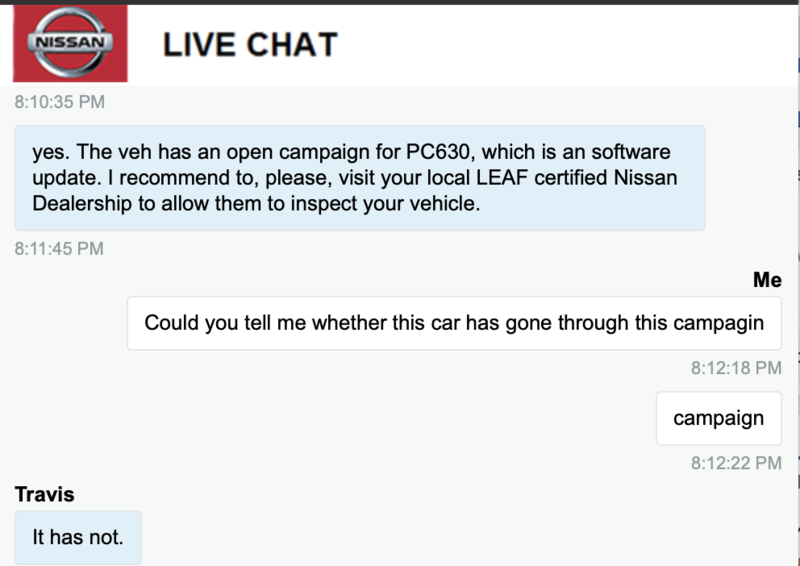 If it's a Nissan dealer, why not just insist that the update be applied? The photo was provided to me by the salesman from “Lewis Chevrolet”. Yes, that’s the same Nissan Leaf SV MY2016. ipuzunov wrote: Sorry for my English. Well, unless the Chevy dealer also sells Nissans, they probably won't be able to apply the TSB. If you have it done in Bulgaria, Nissan there might not cover the cost and you might have to pay for it out of pocket. There can be warranty and recall work complications if you take a car out of the country it was sold in. I'm guessing you don't have Chevrolet (a GM brand) in Bulgaria. Or, if you did, they're gone. You probably have GM's former equivalent Opel, which got sold to PSA Groupe. Just to complete the thread, I've got in touch with a Nissan representative. This is the conversation with him. Someone bought it yesterday. They got a heck of a deal. You are lucky that you did not buy it. I cant see why you would want to Import, from another continent, a car that is so rare that you could not find parts or service for it.... I would not recommend that you continue trying this.... sorry.